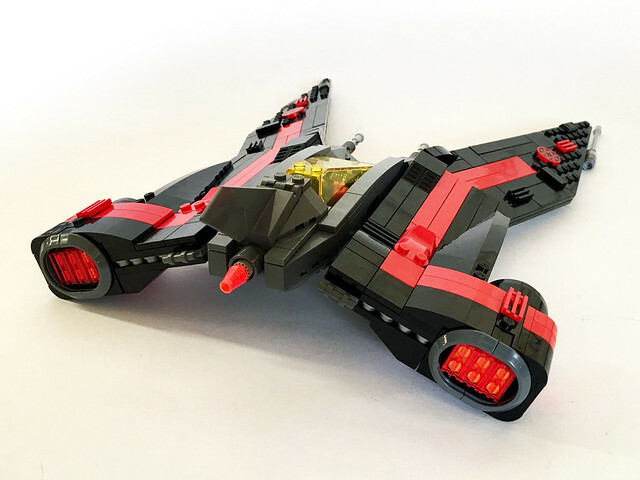 The -Wing starfighter was an experimental starfighter which resembled the shape of the first letter in the Aurebesh alphabet "Aurek". 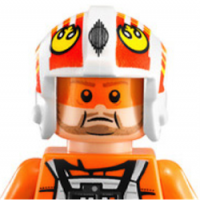 It was an extremely fast and agile fighter with similar features to the U-Wing fighter. 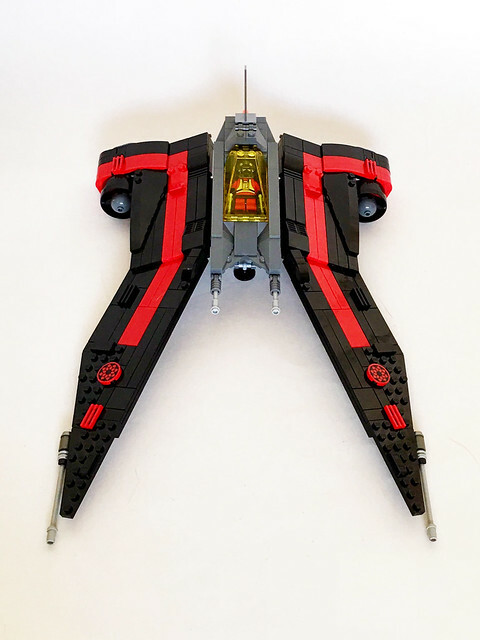 Its most notable feature was its prong-like retractable wings or S-foils that could split apart at the front to switch from flight to attack mode, thereby increasing the size of the ship's deflector shields and the spread of its fire, which earned it the nickname of Scissor Fighter. It also featured retractable landing gear, a central fin, laser cannons on each wing and in front of the cockpit, large engines on each side, as well as a small thruster behind the cockpit. 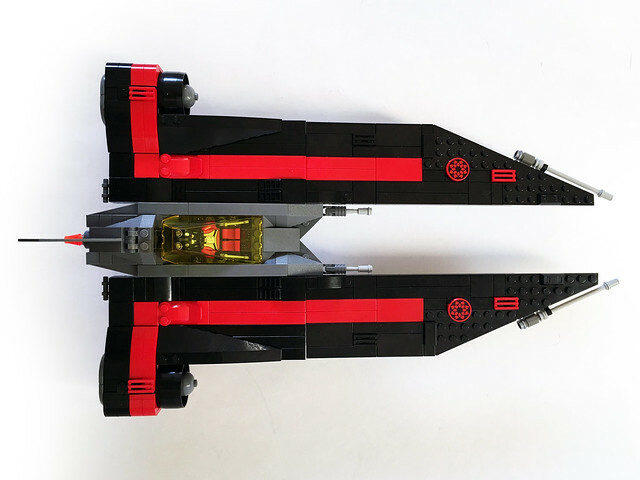 This is my entry for the Star Wars X Building Contest on FBTB and since it's NnoVVember, I decided to make it a vic viper as well. Looks good. Sleek, aggressive & nice choice of colours! Is it based on an actual canon- ship? I'm not that familiar with SW-lore beyond the films. Nope. Completely my design. 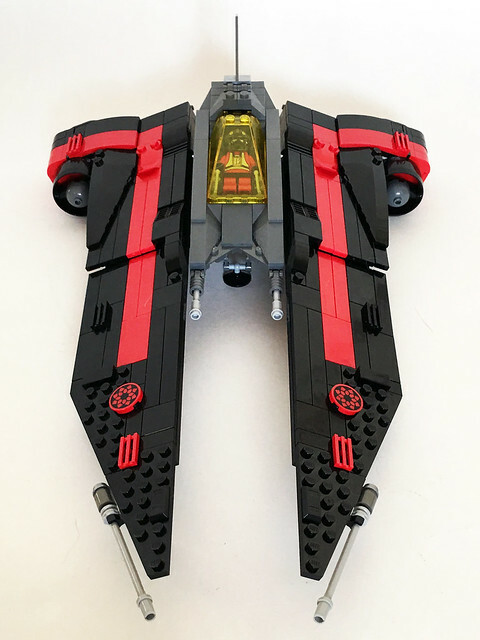 The idea of starfighters based on Aurebesh letters is what the guys over at FBTB came up with. Very nice. It looks like something that should’ve been in the sequel trilogy, instead of all the rehashes we got. It makes me curious what other Aurebesh fighters would look like. 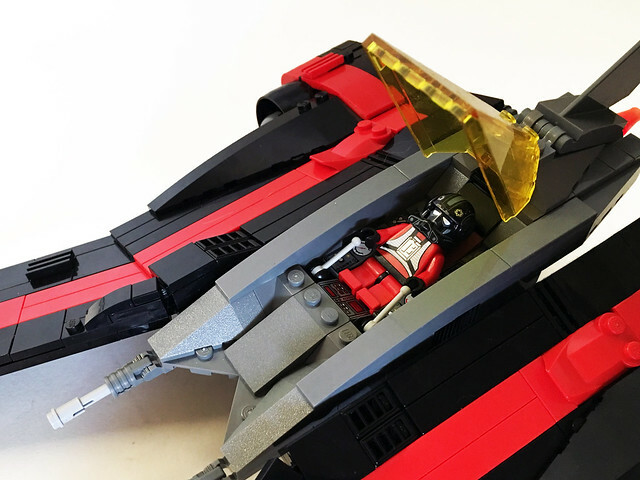 A very cool mashup between a vic viper and star wars. As @JekPorkchops mentions, it would have been a nice change to rehashes, though rather U wingish (with nicer lines ... 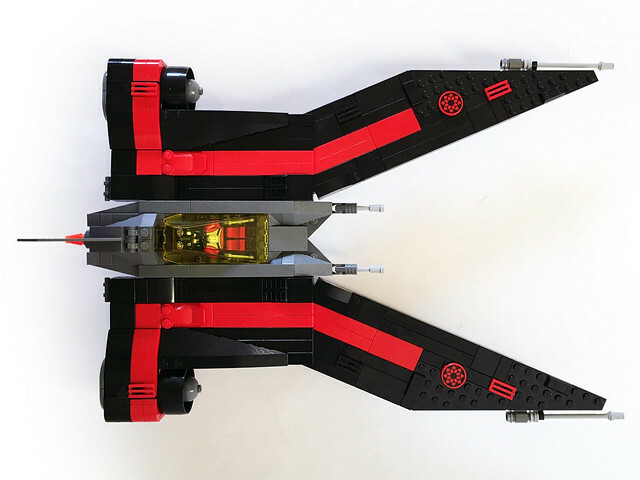 I was never a fan of how the U wing looked over all). english is my 1st language and biggest hurdle. Thank you. 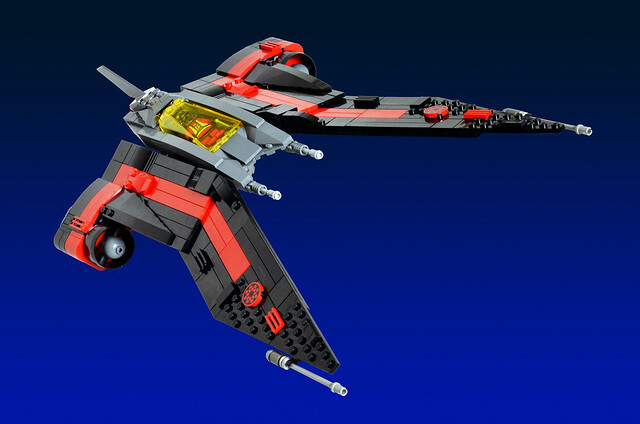 I actually quite like the U-Wing, hence the influences in my design. The set is a pretty nice build and fun to swoosh around. Although maybe I just liked the design because it was such a breath of fresh air after all those rehashes in TFA. Damn what a cool ship! 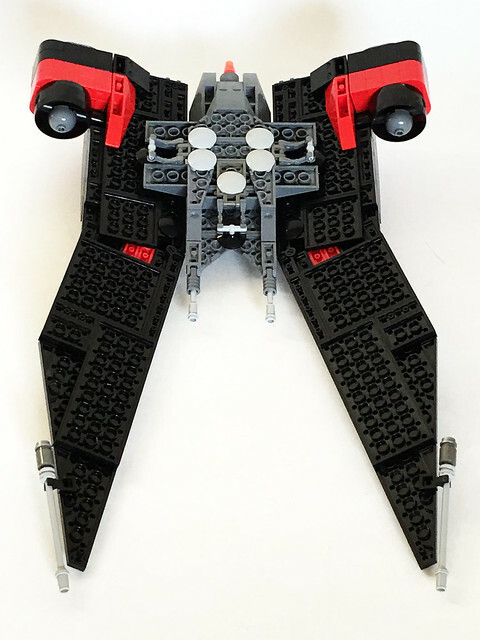 Saw this on Flickr the other day, but didn't realise that the wings could move! Nice colour scheme as well!